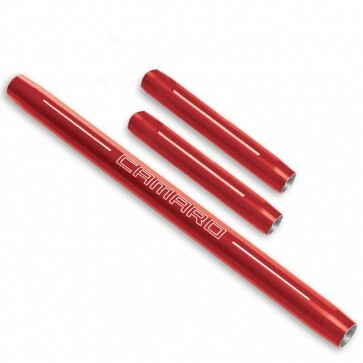 Trunk and hood shock rod covers are made from premium aluminum billet and finished with a durable OEM color-matched paint coat as rich and lustrous as the one on your Camaro. Three piece kit includes two trunk rod covers and one shock rod cover for under the hood. Camaro logo engraved on the under hood shock rod cover. Fits all Generation 5 Camaros. Installation instructions included. One year manufacturer's warranty.